Rather sketchy information about the locomotives at the Coppy Pit, Walsall Wood, and only one photograph. Cannock Wood 0-6-0ST Built by the Lilleshall Company, 1870. Acquired new by the Cannock & Rugeley Colliery Co. Sold to Walsall Wood coll 1882. Scrapped circa 1890. Pelsall 0-6-0T Built by John Smith of Coven, circa 1865. Ex Pelsall Iron & Coal Co. Ltd. by 1893. Scrapped circa 1918. Victor 0-6-0T Built by John Smith of Coven, circa 1865. Returned from J. Freakley and Co. Ltd. by 1920. Since scrapped. No.5 Lord Kitchener 0-6-0ST Kitson 5158/1915. Acquired new. 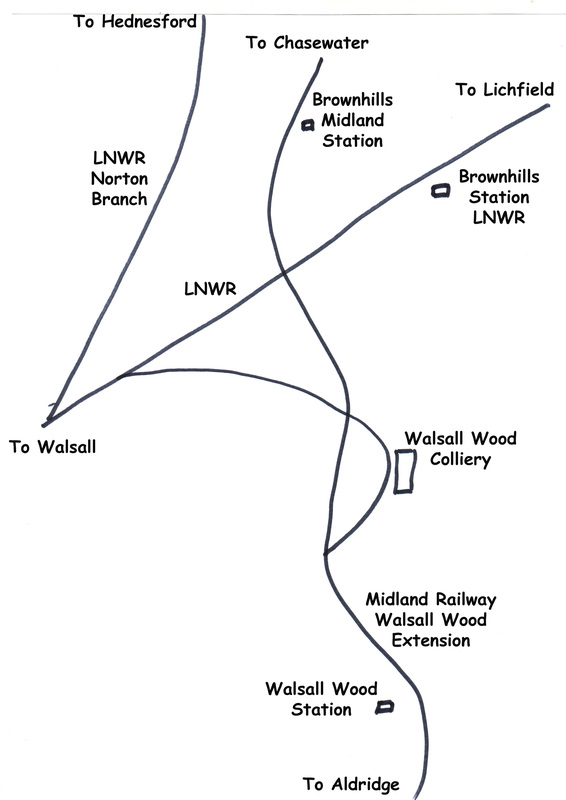 Still at Walsall Wood in 1962, since scrapped. No.6 Lord French 0-6-0ST Kitson 5171/1916. Acquired new. Scrapped at Walsall Wood 1948. My granddad drove the Lord Kitchener at walsall wood. Always good to hear from someone with connections to local subjects – cheers.